Sorry! Just sent that last post out with some confusing links. Let’s try that again…. 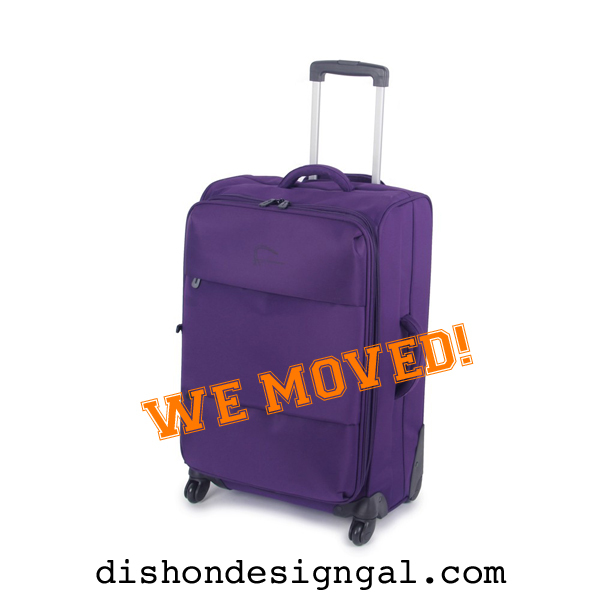 Dish On Design Gal has moved! Our new permanent home is over at http://www.DishOnDesignGal.com! 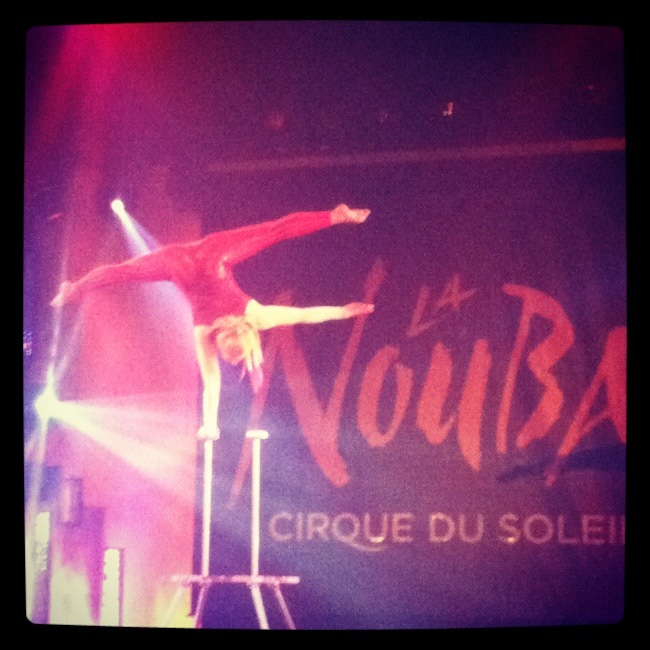 Come visit… we love it when you do! If you subscribe by e-mail you’ll get a notification to confirm your subscription via Feedburner in the next few days. If you subscribe via RSS feed, please make sure to join again over at the new location www.dishondesigngal.com. Haven’t subscribed yet to get new updates? What are you waiting for? Visit the new site and sign on up! We’ve lots of things to dish about! PS. Like the luggage? It’s my all time favorite. Click here for details! If you are wanting to go to Disney while doing a Juice Fast, you are setting yourself up to fail. I realized before I went there on Thursday, that Juicing wasn’t going to be feasible. We packed enough juice for the trip there, but once inside the park, you are left to their food choices which sadly do not include the option of a Juice Bar within any of the Parks. I have to say I’m a bit disappointed with Disney on that finding. 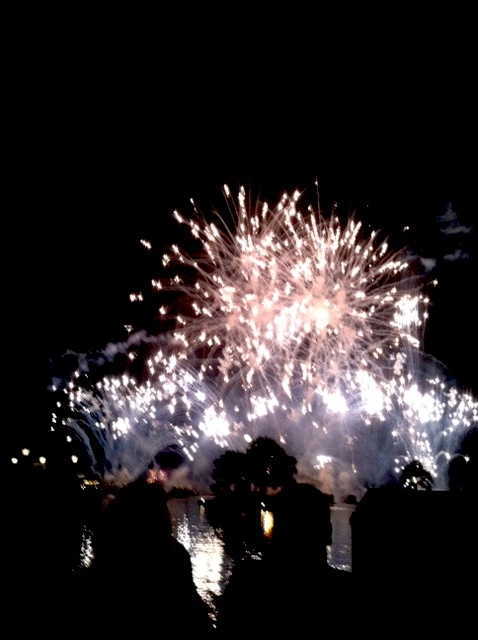 That said, I had a great time at Disney – I ate, drank, walked, rode rides, danced and was merry. I made a conscious decision to not fret about what I ate so I only harbored a smidgen of guilt over the weekend. Yesterday morning I weighed in and had gained 3 pounds, but I juiced all day, ate a deliciously healthy meal and was three pounds less today – Yay! The plan for the next few days is to wake-up, walk 4 miles, Oil Pull, Drink 3 juices throughout the day and have a healthy meal for dinner. Healthy for me means zero white flour or sugar. I’ll be back home on Friday and do a final weigh-in to let you know what I’ve lost to date. I am planning on doing this routine through Thanksgiving and am considering doing one more two-week fast before Christmas Festivities begin. PS. The moral of Disney is to never sacrifice fun when juicing, but have a plan to get back on track and stick to it… you’re worth it! It’s always an interesting week or two of blogging when I’m down here in Florida working with Gigi. Today I’m brimming with stories ranging from a weekend at Epcot with Chef Art Smith to Oil Pulling. It’s going to take some time to go through my Disney photos, so let’s start with Oil Pulling. Gigi has a neighbor named Nina. I’ve heard stories of her for over three years, yet never met her. Over the last few years we’ve called her, knocked on her door and called her again. While I was in town, she never once answered her door or phone. I was beginning to doubt her existence. Nina was a police officer for over eleven years until injured in the line of duty several years back. Fourteen surgeries later she still has numerous complications stemming from that single event which resulted in removal of her bladder and an irreversible colostomy. Gigi saw her over a month or two ago and told me Nina looked like she was dying – she looked that bad. With zero energy, lethargy, chronic fatigue, depression and constant infections – she rarely went out. It seemed she was always on antibiotics for UTI’s among other things. Gigi’s Daughter, Lisa, of Pick Me Yard is studying to become a Master Herbalist. When Lisa saw Nina she immediately handed over her book called Herbal Antibiotics – Natural Alternatives for Treating Drug-Resistant Bacteria which I’m reading now (thank you Lisa!) and Nina is currently exploring. While conversing about the book, Gigi mentioned she should try Oil Pulling. Nina has been doing Oil Pulling every day now for 4 weeks. I finally met Nina the other day for the first time and never in a million years would I have guessed she has been so sick. Not only does she look great, but she’s quite possibly the most energetic person I have ever met. After a recent visit to the dentist, he expressed shock at how well her gums and teeth looked and asked what she had been doing. When she said Oil Pulling, he rolled his eyes and called it Gypsy Medicine, but said “keep it up – whatever it is, it’s working!”. It’s impossible to see her and believe she was so sick less than a month ago. She says she feels amazing. So what the heck is Oil Pulling? Oil pulling, Oil Swishing or as I called it last week, Oil Swooshing – is a traditional Indian remedy that involves swishing oil in the mouth. It’s mentioned in the Ayurvedic text Charaka Samhita, where it is called Kavala Gandoosha or Kavala Graha. Pulling Oil (sunflower oil) heals head-aches, bronchitis, tooth pain, thrombosis, eczema, ulcers and diseases of stomach, intestines, heart, blood, kidney, liver, lungs and woman’s diseases. It heals diseases of nerves, paralysis, encephalitis and chronic sleeplessness. It prevents the growth of malignant tumors, cuts and heals them. The basic premise behind it is that as you swoosh, harmful toxins attach themselves to the oil and you get rid of those toxins when you spit out the oil. Glass full of water mixed with a tsp of unrefined salt such as Himalayan salt. Grab a tablespoon of oil – I use coconut oil. Gently swoosh it around in your mouth for twenty minutes. Spit into toilet when time is up. Gargle and rinse several times with a glass of salt water. Do NOT gargle or swallow the oil as it will be full of toxins from your body. If it’s difficult in the beginning, spit into toilet after 10 minutes and repeat for another 10 minutes. After two or three days it will be much easier. Keeping busy while swooshing makes it easier. I put on make up, shower, check e-mails, etc. Your saliva will mix with it as you swoosh and when you spit it out it will be milky white. If your coconut oil is in solid form (it will be liquid on a warm day and solid if it’s cool in your house) run the jar under hot water for a few seconds until you have enough melted to fill a TBSP. 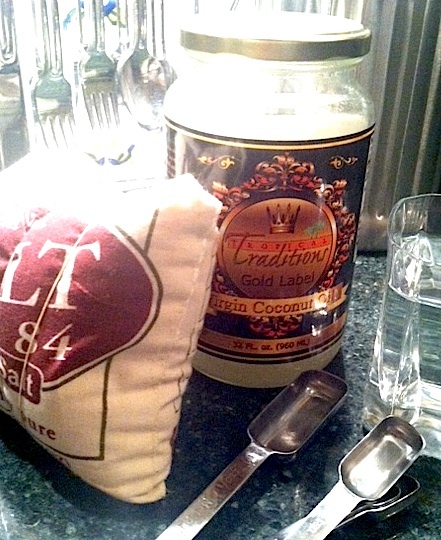 My friend Lori has been drinking a TBSP of Coconut Oil every day since I wrote about it – she’s a believer. She puts it into her coffee every morning… I’m hoping she’ll try Oil Pulling as well. I’ll update my personal experiment with a follow-up post called Oil Pulling Part II in 30 days. I will include an update from Nina as well! I ate. I’m just going to lay that out there. I ate, then I walked 4 miles at midnight around Disney to make up for it. I tried, I really did. I prepared and made juices for the entire day – packing them in a cooler for the trip to Disney. But, by the time we went to dinner with friends, Gigi and I decided we would eat if it was healthy and we did. It was delicious, I’m not going to lie. After 28 days of all juicing with the exception of a piece of carrot cake I ate, but I’m actually okay with it because it was a decision made after much thought and not impulse. The new plan is to enjoy eating healthy at Disney for the next few days and then spend the next five days juicing before I head home. That’s what I love about juicing… I feel in control. On a side note, I have to say I am shocked that there is not a juice bar to be found at Disney. How ridiculous is that? You would think that Epcot in particular would have one. Someone there really needs to get on this. Yes, dinner was good – we ate at a french restaurant and I had a goat cheese salad with a vinaigrette and split an eggplant/vegetable lasagna dish with Gigi. We watched the fireworks and right before midnight, Gigi and I put on our sneakers and walked 4x around the loop connecting the boardwalk and the hotels. We figure it was around 4 miles. A year ago I really didn’t think I would ever love vegetables, but now I do… maybe I’ll eventually love walking too. One can only hope! To start at the beginning of the series, click here! I’m not sure what the heck you are thinking if you live in the south and don’t have a papaya tree or two, or three, in your backyard. Go outside and plant one now. Next year at this time you will have big, beautiful, juicy papayas and you will love me thank me. They are seriously that delicious. Of course I didn’t eat one today, I juiced it. I’m still in Florida visiting Gigi – my business partner/friend. 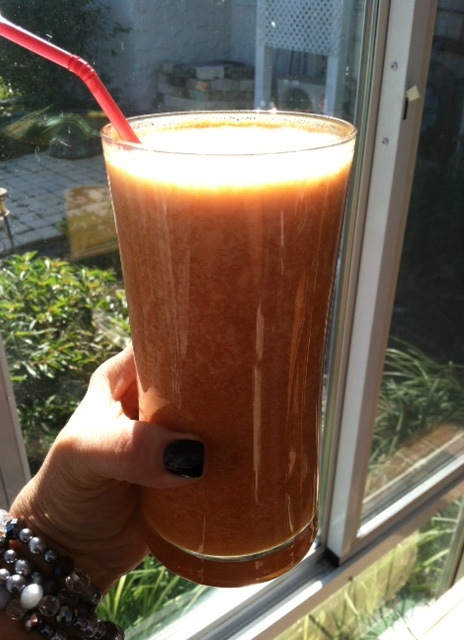 The other day her neighbor, Dr. Nune, brought us two of her papayas and we juiced them this morning. BEST. JUICE. EVER. Seriously. The glass above is a whole papaya, 5 strawberries, a kiwi and a pear. Need I say more? Yum. Saturday or Sunday she is bringing us her homemade yogurt and I can’t wait for a spoonful! I’m planning on ending the 30 day Juice-Only-Fast after Friday, so I’ll keep blogging about it for another day or two. I am going to deserve a medal or something by then because we’re heading to Epcot in Orlando for the Food and Wine Festival. So excited about that, but even more excited because I finally get to meet Gigi’s BFF’s Chef Art Smith and his spouse Jesus (Hay-soos) – an amazing artist. I mentioned Oil Swooshing yesterday. It’s really called Oil Pulling and it is some amazing stuff. This week I’ve been a human guinea pig so I can report back to you the results. I’ll probably do that on Sunday since the next few days are really busy. Oh, did I mention I’ve lost another 5 lbs since Sunday… Yay! 31 Days to Decorate Confidently. Day 31: Ready, Set, Go! When in doubt, refer back to 31 Days to Decorate Confidently. You’ve got the tools and the knowledge – all you have to do is apply them. Dont be afraid to ask questions. Resources are all around you… in stores and on-line just waiting to help you! Don’t be driven by fear. Everyone makes mistakes, even professionals. Mistakes aren’t a big deal and every mistake is correctable – Be confident and act without fear. You have nothing to lose and everything to gain! Trust your instincts – if something doesn’t feel right, it probably isn’t. Don’t push something that isn’t working, try something new! Assignment: Repeat after me… I can create a beautiful home! 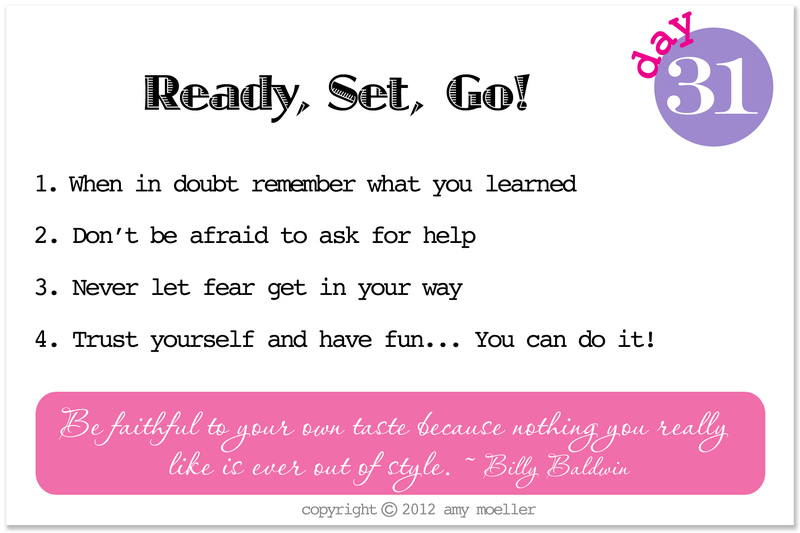 You really can… trust yourself and have fun – decorating really is fun and as soon as your trust yourself and let go you’ll see how fun it really is! I can’t believe this is day 30 of the series! If you’ve followed from the beginning, you know for the first three days of juicing I prepped by gradually eliminating caffeine and on the third day just ate vegetables, fruits, nuts and bean soup. Because of that I’m going to juice until November 2 so I’ve done a true 30 day fast. I’m in Florida on business now until the end of next week and I’m not going to be able to do a final weigh-in until I get back to my original scale. That said, according to the scale here, since yesterday I’ve lost another 2 lbs. I’m guessing I have lost a total of around 16 lbs in 27 days. Considering I ridiculously blew a day eating carrot cake, I’m happy with that. My body has been battling dropping these last 5 pounds, but I believe I am finally having a break-through. Certainly, the fact that I have walked 4 miles both yesterday and today helps. Water helps too, as does have a friend to do this last leg with. Gigi was on Day 2 of juicing yesterday and was in major detox, but feels good today. I’m back in the groove, feel great and am confident that I will get to the end of this journey sooner than later. That in itself is amazing. Yesterday we had a fruit juice in the morning, a beet juice for lunch, carrot, apple, ginger, kiwi, for dinner and a peach pie juice for an evening snack. We’re also trying something called oil swooshing. Have you ever tried it or heard of it? I’ll tell you more about that tomorrow. It’s sounds a bit crazy, but I find it intriguing. Don’t you love that photo? 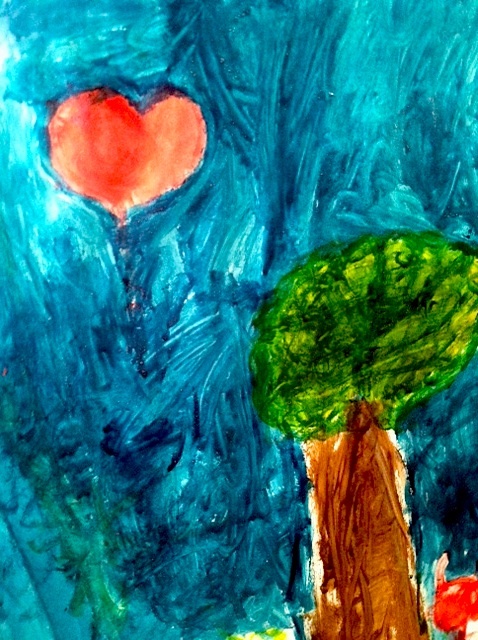 It’s a of a painting by Loring… Gigi’s 5 year old grandaughter. Just precious!